Three rare promo pairs of Air Jordan 11 Retros. All unreleased and very hard to find, especially altogether! Check out the auction here. First up the university blue, black and white colorway. 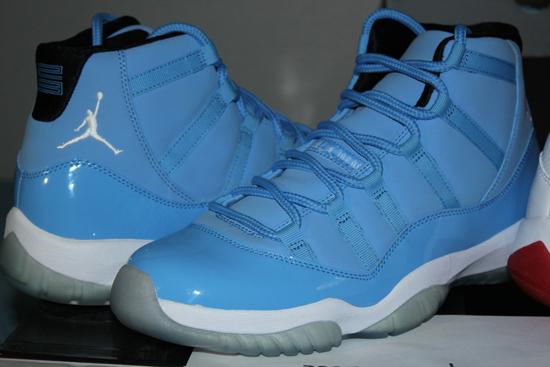 This promo pair is a sample edition of the "Pantone284" collection which was made for display purposes only in 2010 as a part of the "For The Love Of The Game" collection. The actual display pairs all featured laser print designs on the upper and the XI actually did not feature patent leather on them. This sample version does not feature any of the laser print designs on them and, features its signature patent leather. Second, the white, black and red colorway. 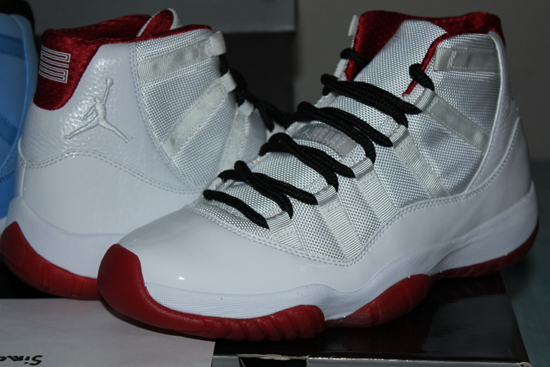 Also a promo pair, these were made for the "History of Flight" collection. This collection was made for display purposes also and was seen at select Nike events and locations as it traveled for a few years. They feature a white-based upper with black laces along with a red sockliner and outsole. 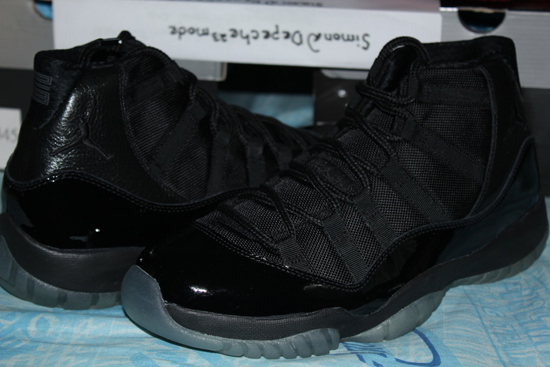 Last but certainly not least, this all black colorway. The rarest of the three colorways (even though all are impossible to get), they are known as the "Blackout" edition due to them being black-based. Featuring patent leather on the upper and a nice translucent grey outsole. Also a promo pair. 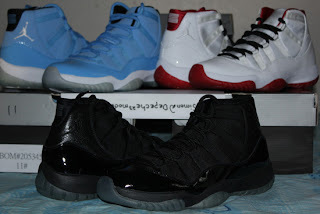 Just seeing one of these is amazing but all three together is nothing short of spectacular, especially since the Air Jordan XI is my all time favorite sneaker! So, check out the images below and if you have deep pockets, you can take your chances and try to grab all three of these awesome Air Jordan 11 Retro's at once. click here to buy them on eBay.